Friday, Friday Getting down on Friday! What a week, and what a day. Todays been jam packed and literally flown by. Never been so happy to get a post done and dusted and relaxation time started! Roll on the weekend! one of my favourite outfit of yours!!!! 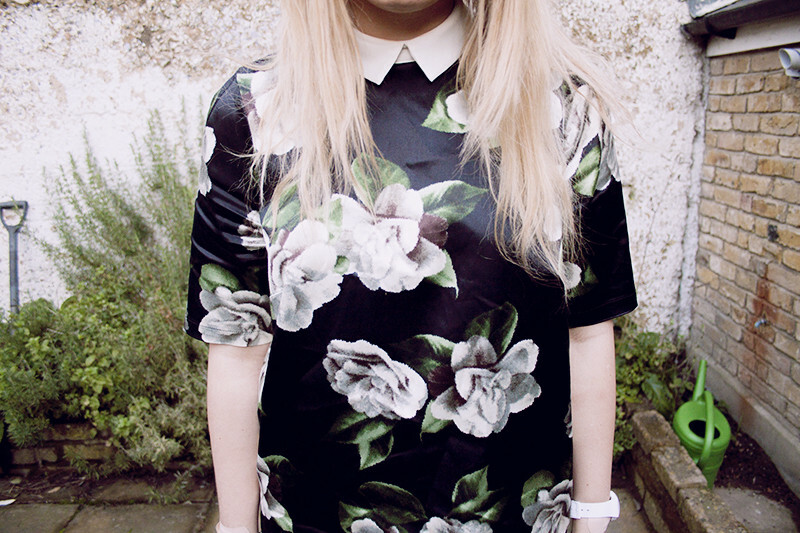 Such a cute little top, love it! Great outfit as always! such a gorgeous way of layering! Gorgeous trousers, I would of never of though to wear them during the day, think I may have to steal this style idea! Got a lot of love for this coat! The coat is really nice along with the rest of the outfit, but I have never been a fan of those type of trouser. binbag leggings I always call them. Absolutely love that floral top and coat! Love the coat, the colour are fabric a lovely! That coat! And that bag ahhh! this light coclours are perfect for you, too. Must not be black! 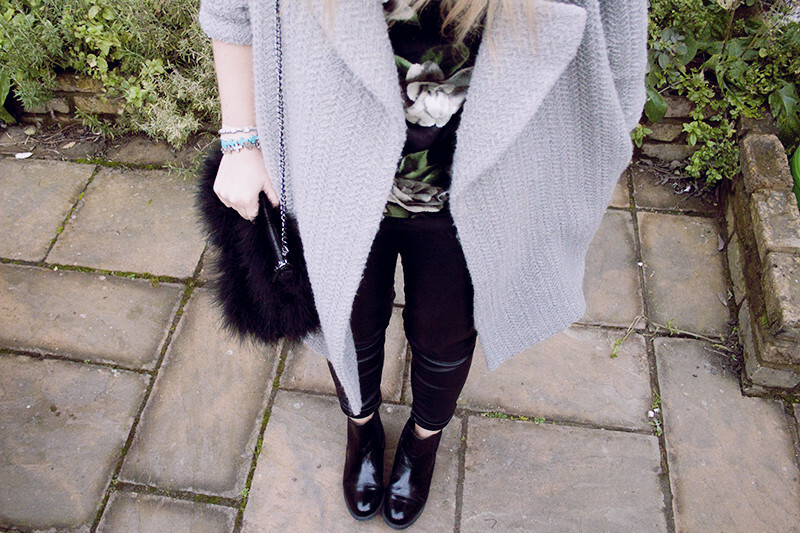 Love this outfit, it's perfect for winter! This look is adorable ! The coat is absolutely lovely ! so pretty, I love the coat and the floral top! This is gorgeous, and I'm in envy of that bag! I adore that Topshop Top! Looks amazing! 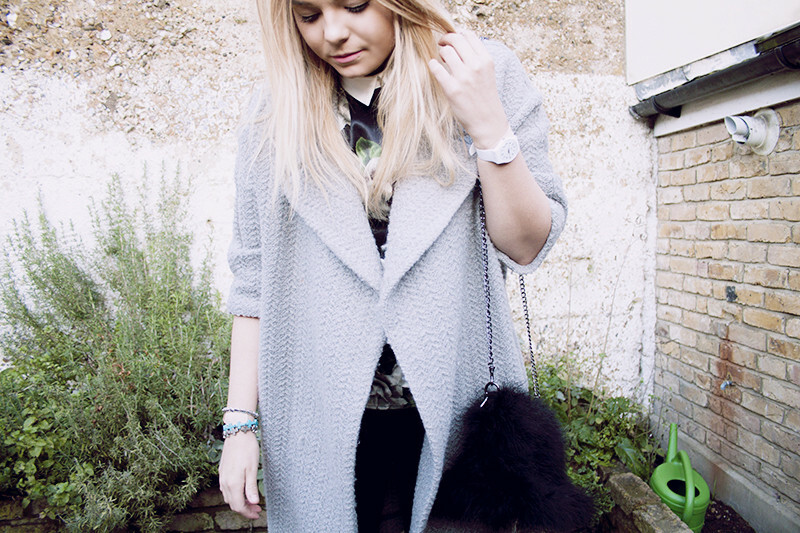 I so wish I could pull off one of these long/smart coats but I always feel I'm too short to, it suits you so well!